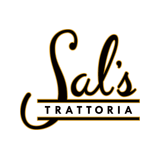 Sal’s Trattoria now offers an exclusive and delectable brunch menu. In addition to the items on the menu, Sal’s Trattoria also serves House Bloody Mary’s, Mimosas & Sparkling Wine for $6. *Denotes a gluten-free menu item, or an item that may be modified to be gluten-free.